Find the relief you need from the pain and misery that comes from an infected tooth with our painless and successful root canals. Helping you achieve better oral health is our goal no matter what kind of issue you are experiencing. Our commitment to exceptional dental care means we get right to the root of the problem before the pain becomes unbearable. Choose a family dentist that has the experience needed to treat your infected, damaged, or decaying teeth. The pain from an infected tooth is capable of ruining every aspect of your day, and you can’t afford to sit back and endure the discomfort. Enjoy the foods you have always loved without wincing in pain with every bite. Experience the difference that a healthy smile can make in the quality of your day. When you are in need of root canal surgery, there is only one name you should call. Protect the integrity and health of your teeth with a root canal procedure from our qualified, compassionate, and experienced dentists. 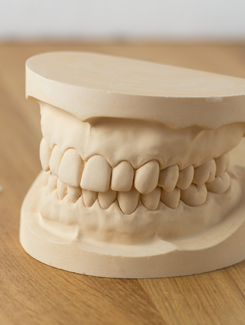 For more than 50 years, we have been helping people across the First Coast save damaged and infected teeth with ease. The team at our family dental office understands how to make people as comfortable as possible. So there is no reason to put off getting any kind of procedure you need, including a tooth extraction if necessary. Get the treatment you need as soon as possible from our gentle dentists, and prevent the spread of infection to other teeth. If an infection is allowed to grow, it could result in painful abscesses. This could result in irreversible bone loss in your jaw if left untreated. 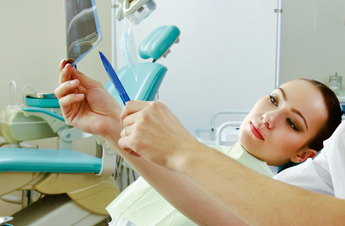 Eliminate the worries involved in getting a root canal by choosing a dentist that helps to ease the pain involved. While a root canal has a reputation for being a painful procedure, our process is no more painful than a routine dental filling. Be aware of the many warning signs that may indicate you need a root canal from a qualified dental specialist. If you notice a cracked tooth or an exposed nerve ending, you should contact our office right away. When chewing or biting becomes painful, or you become sensitive to hot and cold items, the time is now to get a root canal. Additional warning signs include swelling and tender gums, as well as discolored teeth. While these issues may cause only minor discomfort at first, any delay in getting the essential treatment you need could prove even more costly in the long run. Stop living with the pain involved with damaged and infected teeth and start getting healthy today. A little discomfort is worth it when you consider the world of possibilities a healthy mouth provides for you. Learn more about the procedures involved in root canal surgery to get a better understanding of how we relieve your pain. During your procedure, an access hole is carefully drilled into the infected tooth. This allows our dentist to remove any bacteria that may be causing the infection, as well as the decaying nerve tissue inside the tooth. Once the tooth in question has been completely cleaned, the access hole is sealed. With the help of local anesthesia and other recent advanced in surgical technology, the pain involved in a root canal is minimal. Experience the difference in your overall quality of life that comes from a healthy mouth. When a tooth requires additional treatment beyond the root canal to restore it to the original function, we schedule a follow up appointment to complete any further restoration. Our office is focused on your health and wellbeing, so we take the time to discuss all of the options and procedures needed to get you the healthy teeth you deserve. Contact our office right away when your tooth is damaged in an accident. Our office specializes in tooth extraction, and we help you prevent a potentially dangerous issue from spreading. We keep you comfortable during any procedure with the appropriate anesthetic, so you can get the treatment you need in comfort. An extraction or root canal from our office is safe and free of stress. Our team is focused on helping you get the healthy smile you deserve. Stop avoiding hot and cold foods and get a solution to your dental issues. You no longer need to hide your cracked or discolored teeth from view when you schedule a visit with one of our dental professionals. Find relief from infected and inflamed teeth with the help of a team that has been practicing successfully for decades. Contact us today to schedule an appointment for root canals and experience our approach to gentle dentistry. 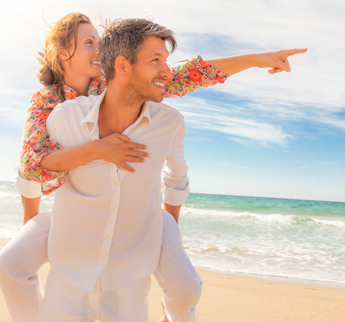 We proudly serve patients in St. Augustine, Vilano Beach, Palm Coast, Hastings, and World Golf Village, in Florida.